Everything DiSC® is a library of research-validated online profile assessments designed to help professionals communicate more effectively with those around them. Using the DiSC theory, the Everything DiSC system provides insight into people's behavior, helping them understand and connect with others more effectively. Learn how to respond in conflict situations. 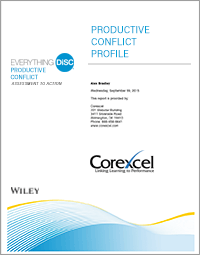 Discover communication strategies for efficiently dealing with conflict. Improve your awareness of the destructive and the productive behaviors that are typical with different DiSC personality styles. 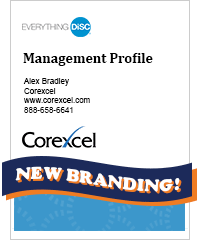 Each Everything DiSC profile is designed to work together. 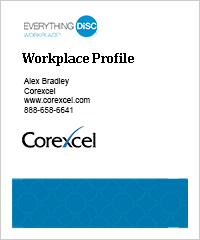 Group reports and free supplemental reports can be generated to include participants who have taken any Everything DiSC profile. The Everything DiSC System incorporates Adaptive Testing (AT) software commonly found in the most contemporary psychological assessments available. AT provides the assessment taker with questions based on their previous questions and answers. AT is important because it shortens assessment time and provides the most precise DiSC reports on the market. Call 1-888-658-6641 (U.S. only), 1-302-477-9730 (outside U.S.) or send an email through our contact form to request additional information on Everything DiSC Profiles or the corresponding trainer materials. 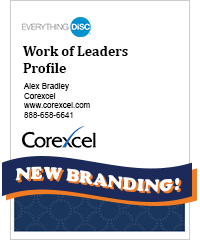 "Everything DiSC", "Everything DiSC 363" and "Everything DiSC Work of Leaders" are registered trademarks of John Wiley & Sons, Inc.